These police officers know an emergency when they see one. When only a handful of guests turned up to a boy named Reuben's bar mitzvah in Jerusalem, county police came to the rescue. The word went out and dozens of county police and fire fighters showed up to celebrate the boy's special day. Israel Police said some officers even made the effort despite not being on duty. Officers captured video of the party and posted it on Facebook. 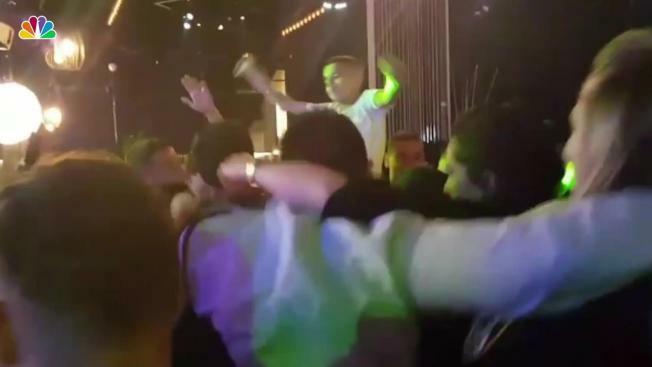 One clip shows Reuben on the shoulders of a policeman, dancing as a house music track pumps out.